Handcrafted coffees, teas, and sweet treats! Welcome to the Martha Stewart Café, a dream of mine that has finally become a reality! Inspired by the wonderful coffee shops I’ve visited all around the world, it’s a place where I can share my favorite handcrafted coffees, teas, and bakery treats with customers who will enjoy them as I do. I hope you’ll make the Martha Stewart Café a part of your daily routine—or a stop on your itinerary when visiting New York’s exciting High Line district! I promise you a delicious cup as you explore this vibrant part of the city. We begin with Martha’s favorite coffee and espresso beans, ground fresh to deliver smooth, well-balanced flavors. Our expert baristas will craft you a cappuccino, latte, or other beverages that look as dazzling as they taste. Every day our menu offers special pastries to accompany your drink, hand-selected by Martha from some of her favorite local bakeries and pastry shops. Stop by—or check Twitter—to see what might tempt you today! 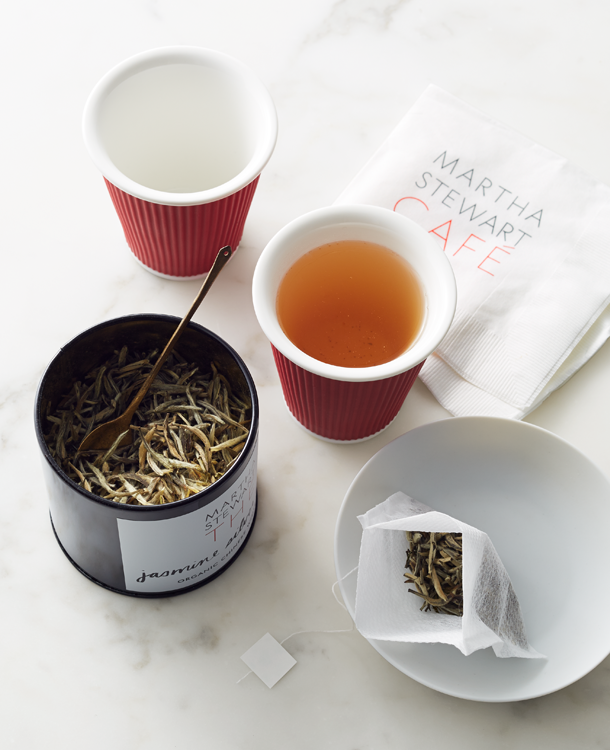 Enthusiasts will love our curated selection of pure loose-leaf teas, including our own chai, oolong, herbal teas, and Martha’s breakfast blend. Most are organic, all are free of additives and flavorings, and every cup is fresh and delicious.